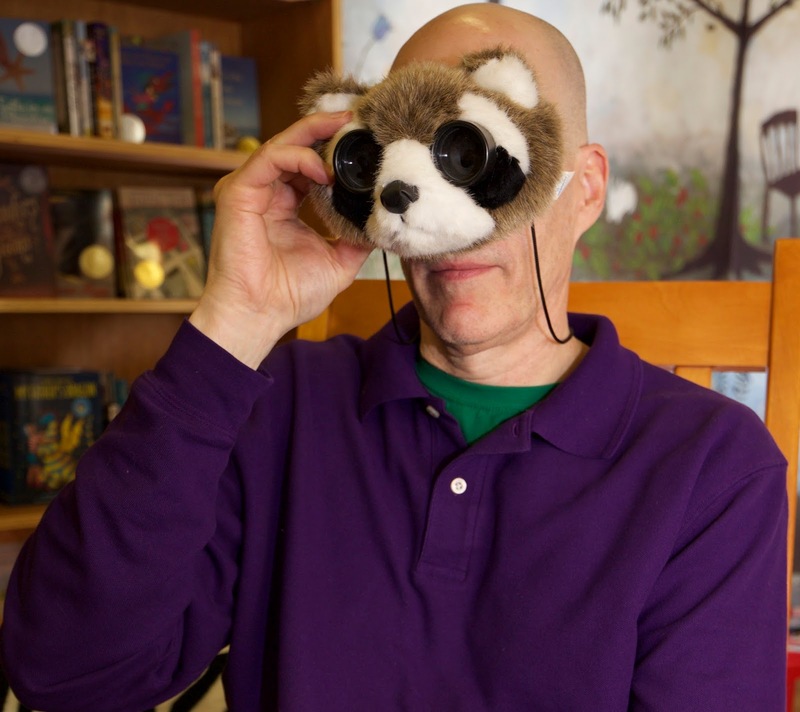 Bart King is the author of several nonfiction books, including the wildly popular Big Book of Boy Stuff and Big Book of Girl Stuff. The Drake Equation is King's first book of fiction, which he wrote with a middle school audience in mind. It's a funny science fiction adventure about Noah Grow, who is drawn into galactic intrigue when he finds a mysterious disc while out pursuing his favorite hobby -- birdwatching. How did you come to write The Drake Equation? I’m almost not joking about that. Anyway, I had a great character in mind for a story. He’s based on my nephew, Noah, who’s a 12-year old naturalist. 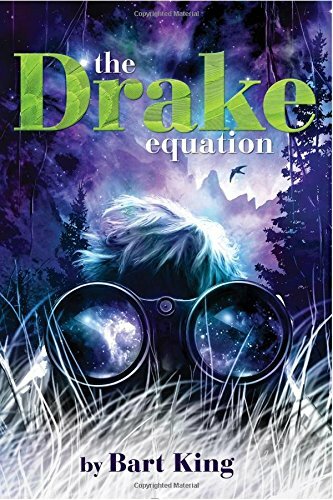 So in a leap of imagination, I made the protagonist of The Drake Equation a 12-year old naturalist named Noah. The Drake Equation is a terrific adventure story. Do you have a series in mind? Oh, thank you! I wrote this story as one complete, self-contained story arc. But it was 150,000 words long, which is twice the length of a typical novel for MG/YA readers. So I cut it in half, and it’s the first part. So while there may be a sequel (namely, the second half), there will not be a series. The story almost jumps off the page. Are there plans to make a movie adaptation? What is your professional background? How did it lead you to writing this book? I taught middle school for 15 years. During that time, I was convinced that my students who were reluctant readers just hadn’t found the right books. So I decided to try my own hand at writing stuff that was so irresistible, even the most jaded reluctant reader might be willing to take a crack at it. Who is your intended audience for The Drake Equation? My aim was to write a cracking good book for middle grade/YA readers — and immature adults. Seriously! The Drake Equation is a funny story, and if I did my job correctly, it will be funny to readers regardless of age. Did you know right away, or have an idea, how you were going to end the story in The Drake Equation? Or did it come to you as you were in the process of writing? I had a very sophisticated outline for Drake before I sat down. I knew what my opening scene was, I had a funny set piece for the middle, and I knew my ending. Yes, I had parts A, B, and C — I’m a genius! Over the course of rewriting the story, my opening scene and ending changed . . . leaving me at the end, with only my funny set piece (part B) remaining. So much for that outline. What did you learn from writing The Drake Equation – either about the subject of the book or the writing process – that most surprised you? I’ve written over 20 books, but they’re all nonfiction. So writing a novel was a new and difficult challenge. Plus, I have a very caustic internal editor. For example, let’s say I needed to introduce a minor character. So I start writing. I call the character Samantha, and have her walk into a room where my protagonist is. “Hey, what’s wrong with Samantha?” I demand. And the next thing you know, I’m agonizing over the NAME of a minor fictional character. Never mind what she looks like or how she’s going to kick-start the scene! I do have some social networking sites . . . ooh, and here they are! On April 21st, I will be one of the authors present at Homeword Bound, which is the fundraiser for the Community Partners for Affordable Housing in Portland. Other authors present will include Ruth Wariner, Peter Ames Carlin, and Monica Drake. The best thing about being a writer is that my imagination can run unfettered through the meadows. Unfortunately, sometimes it jumps a fence and then I don’t see my imagination again until it gets cold or hungry. I am co-writing an unnamed funny science-fiction adventure story with Gary Urey, a talented author based on Portland, Maine. Our story takes the form of messages written back and forth between two boys whose parents have dragged them off to opposite ends of the Milky Way. Sadly, I just realized we don’t have a snappy title for this story yet. So I’m open to suggestions. Thank you so very much for these questions. It was a pleasure! THE DRAKE EQUATION IS AVAILABLE ONLINE AND AT MANY BOOKSTORES -- OR ASK YOU LOCAL BOOKSELLER TO ORDER IT! Seems like a nice guy. Not talented, but nice. And he's a funny guy!